So, I think my next monster truck KIT will be... Traxxas? 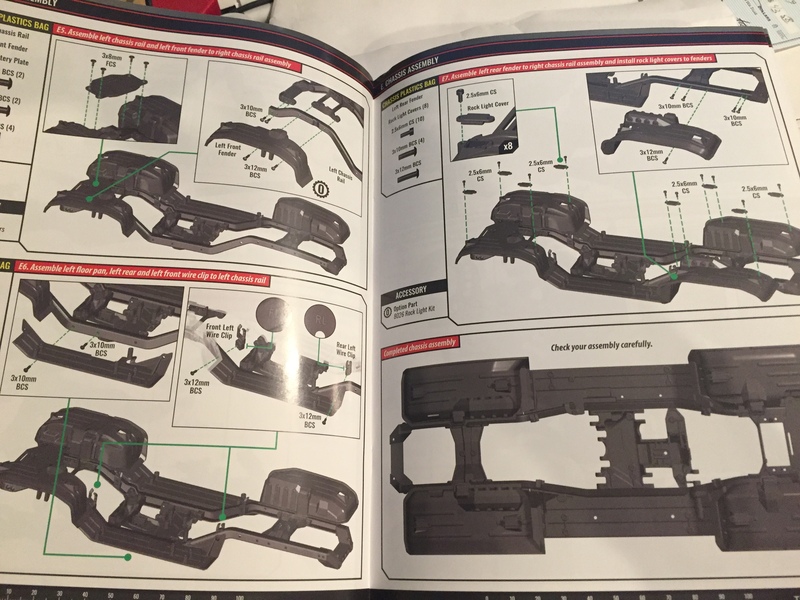 Well after the TRX-4, it looks like Traxxas is going to give the assembly kit thing another go. This time its going to be a Stampede 4x4. Awesome. This is the exact vehicle I was considering next from them. A kit version will seal the deal for me. I've got a brushless system sitting on the bench that I can't bear to put in a Tamiya truck for fear of tearing it up. I looked hard at the SMT10, but after the initial "high" of that truck's introduction, opinions seem to have slid on it. Traxxas stuff, on the other hand, has proven quite tough in my experience. If Traxxas continues to add kits to its roster, I wonder if it will impact Tamiya sales, at least in the US where Traxxas is king? I know a few folks who shy away from RTR Traxxas just because they enjoy the build. I saw this the other day and i think after i get my egress in a few weeks i will definitely try the traxxas out. I've been into this game for quite a long time now. I remember when Traxxas only came in the kit form. My first Traxxas was the SRT, a full on 2wd, stadium style race kit. It was a precursor to the Rustler we have now. I actually have a few of their RTR's, and really like them, but going back to a kit form for a few of their popular models just makes sense. I'm going to have to take a hard look at this kit, and figure a way to sneak it past the wife. I remember those days. The old Traxxas Bullet and Sledgehammer were pretty cool kits. I have a Clod and an RTR brushed Stampede. Even though the Stampede outperforms the Clod in many ways, (well, for now. I got some upgrades planned for my Clod. ) I still love that Cold more mainly because of the fact that I know the truck inside and out because of it being a kit. Also, it has a bit more realism. I thought exactly the same thing when I saw they were launching a kit! I've always fancied a Stampy but wasn't keen on the price of the RTR brushless 4x4. Hopefully the kit will be significantly cheaper. They have a kit version of the TRX-4 Sport coming out too, I saw. Maybe they've finally seen the light...? I've always liked Traxxas products, but not the RTR factor or the proprietary lock-in (battery connectors, need to have iPhone to "unlock' stuff, etc). But in terms of well-engineered bits of plastic and metal in the shape of a truck, they're great. And I remember their old kit instructions being quite good, too. The traxxas vehicles are decent, I have a handful of them, they are not without there own issues of course. I don’t think traxxas is that big of a threat to Tamiya as the target markets are quite different. I own many of both brands and I have different uses for each model. I think people under estimate however how tough some Tamiyas actually are under the same types of brushless setups that traxxas use. £215 - Now if it came with the electrics I'd buy it now! Come on Traxxas... we do all the hard work assembling it! I wonder if the parts are all warranted the same as a RTR version ( less electrics of course) because who knows if the truck (diffs etc etc are correctly assembled by the user. Honestly, Traxxas electronics are nothing to write home about. You're better off choosing your own stuff. Haha I always had good luck with them in a couple 2wd Slashs... loved the waterproof and reliability but never pushed them over 2s lipo but boy they were expensive now compared to motors/ecs's coming outta China etc. I think people under estimate however how tough some Tamiyas actually are under the same types of brushless setups that traxxas use. I honestly gave brushless a shot with Tamiya first. The system in question is a Castle Sidewinder 4600 V2 on Nimh batteries, far from the most powerful setup. The first truck it went in was a WT01. The dogbone crosspins got worn to a razors edge quickly. The drivecup slots began to get egged-out where the crosspins rode. The mounts molded into the gearbox tops that hold them to the chassis minimally cracked and split and in worse cases, broke off all together. I briefly had the system in a Blitzer chassis. It didn't take long until the screw bosses at the front of the chassis began to fracture where the entire front suspension mounts. I didn't crash constantly. The difference is, at these higher power levels, the ABS in Tamiya kits would only take 1 or 2 hits before degradation began. A Traxxas, on the other hand, can survive dozens of these hits. When something does break, reasonably priced, nigh-indestructible, RPM replacement parts can be easily sourced. It just a simple conclusion I reached that Tamiya can't possibly fill every niche. I'd rather enjoy and drive my Tamiyas within their design limits and save fast bashing for something I'm less devoted to, like Traxxas. No sense jamming square pegs into round holes for the sake of brand loyalty. It took me awhile to come to terms with that being a Tamiya diehard at heart. Now, I wonder if that Stampede kit comes with full ball bearings? Where did you see the Stampede 4x4 kit? I built the TRX4 kit last year and thought it was a fun assembly. Big Squid had the news on it. Looks like Hobbytown and Amain have it available in the States. You don't realize how much better U-joints/CV joints really are than dogbone ends until you push them hard and/or get some "miles" on them. Then the difference becomes apparent. Same thing with Tamiya's ABS vs other manufacturers' modified nylons: one just holds up better than the other. And you're right, it's not a question of abuse, just a big difference in service life. I noticed this many years ago when I was running touring cars and I switched from a TA03 to a used Xray T1, and stopped having to replace parts. The TA03 would get a little more slop in the suspension every night of racing, whereas the T1 was already someone else's "last year's racer" and was still nice and tight. It's not a knock against Tamiya, but they design their cars to handle a certain power level, and pushing them beyond that level uses them up quickly. As for bearings, yes, I'm sure all the Traxxas kits have a full set. Why wouldn't they? Thanks, just saw it on A Main, 199 isn't too bad. Haven't found it on Traxxas' website. Yep you can't beat Traxxas.... you can but it takes a lot. I actually have a couple brushless motors and spare ESC's waiting new projects.. this 4x4 Stampy would be a very nice park basher so thanks for the heads up, seems this has a growing fan base. As for bearings, yes, I'm sure all the Traxxas kits have a full set. Why wouldn't they﻿? The 2wd Stampede 550 Titan brushed editions come with bearings in the transmission and bronze bushings in the hubs. I'm not familiar with the 4x4 variant (which should make it an interesting build for me) but the kit looks like it might be based on the brushed 4X4 version since it shares the same chevron tires. I couldn't find the kit on the Traxxas site yet either. You're gonna have to fill mean in on the meaning of "Umerica" . Step 3: Chug can of Bud while firing an AR-15 into the air and shout "Murrica!" as you attach said USA flag"
The Stampede overview says it comes with full-color instructions. How are they if anyone has/had Traxxas manuals? Thanks for the info. I couldn't, for the life of me, find that earlier this morning, making me blind or an idiot. In my case, probably both.